Whether it was the day you got married to the love of your life or the first time your child started to walk, life is full of beautiful moments which we can now capture easily with our smartphones. 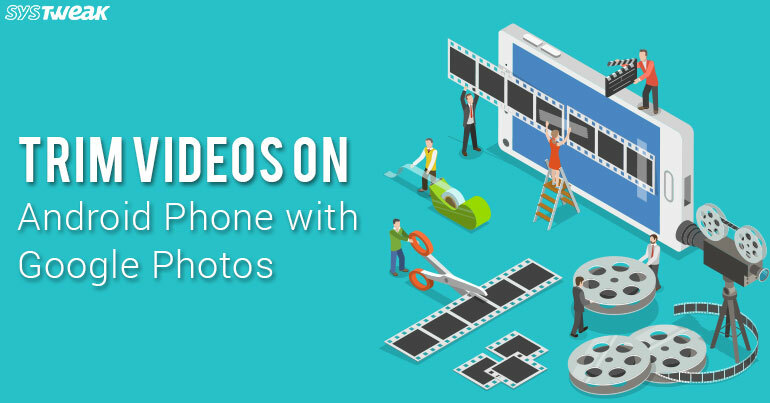 You can anytime relive these amazing moments as you have captured them on your smartphone. However, often it happens that in excitement or in a fear of not losing that moment we start recording a bit early, a part which we probably could do without. This, also increases the file size of the video making it a little cumbersome to share. Also, many platforms restrict the size of the video which is to be sent. Therefore, it is always better to trim those videos before sending. But how? Do you need to search for a trusted app on play store or you have to buy one? No, you have to do nothing you just have to tap on Google Photos app which is by default installed on your device and start using it. To get things started, tap on the Photos app which is by default installed on every android phone. If you are a first-time user of Photos app then you will have to first set up the Back Up & Sync option. By default, this option is “on”. Once the process is completed tap on Done. The next step is to open the video which you have to trim. Now, tap on the 3-horizontal line which is next to share icon at the bottom. In the edit menu, you can not only trim the video but also rotate it 360 degrees if needed. Now highlight the part of video which you do not wish to trim and tap on the Save button located at the top right corner of the screen. Once the video has been trimmed, it will automatically save. It doesn’t mean that your old video is all gone and converted to the trimmed one, instead a new video file is created. The best part is that you do not even have to name it, as everything is handled automatically. That’s it. Isn’t it simple? So, guys start trimming the videos to keep your library handy.